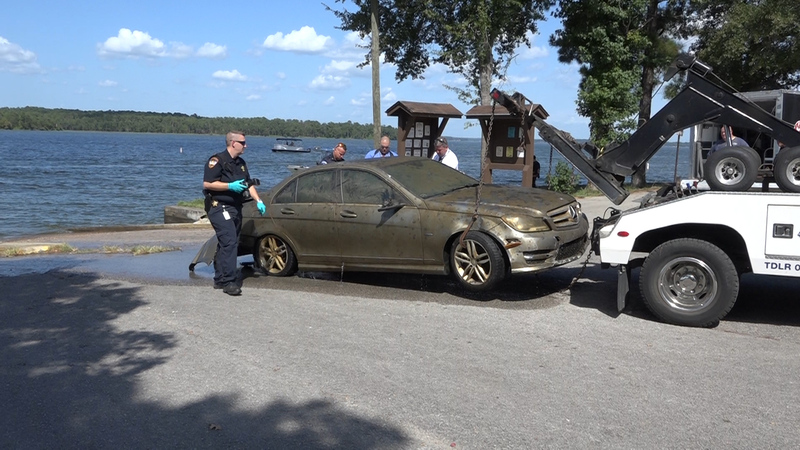 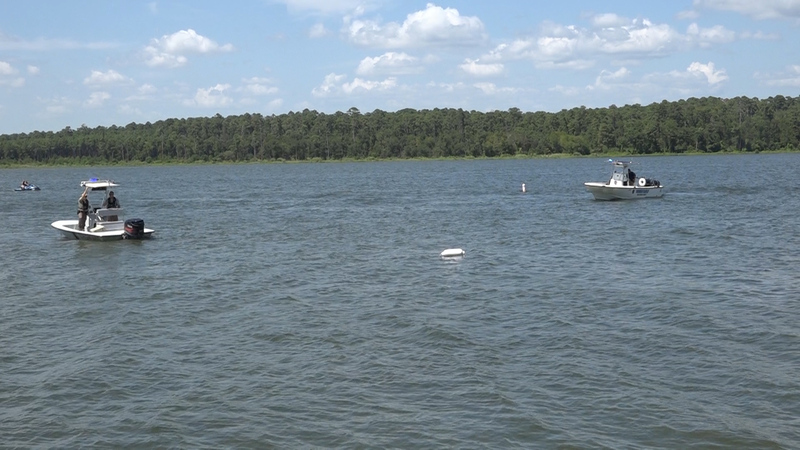 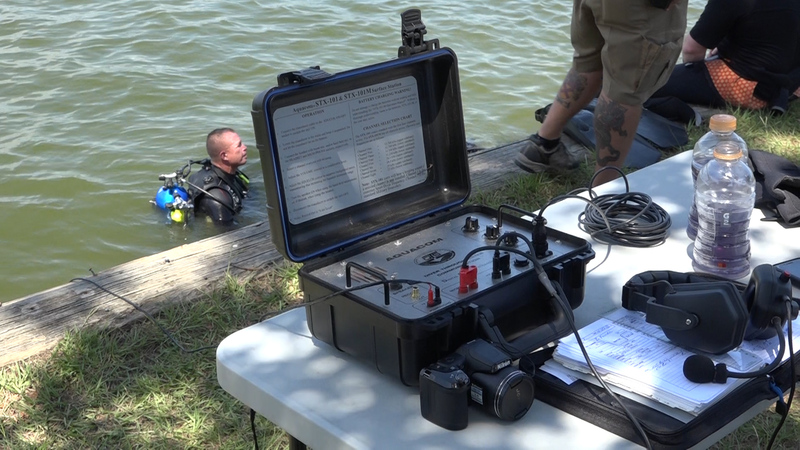 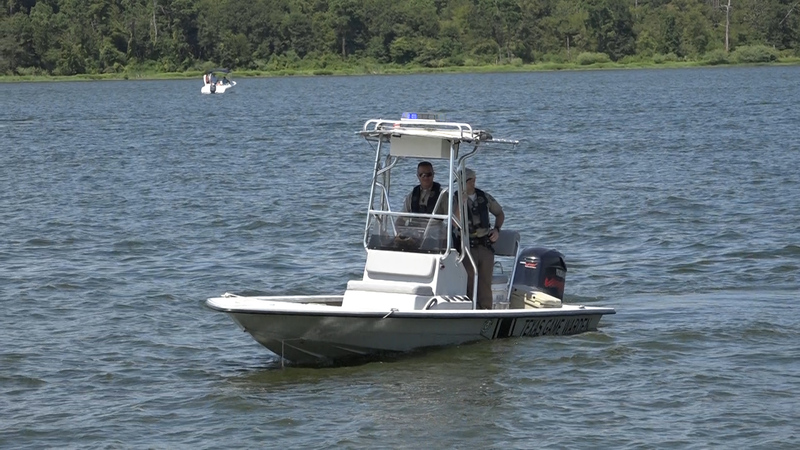 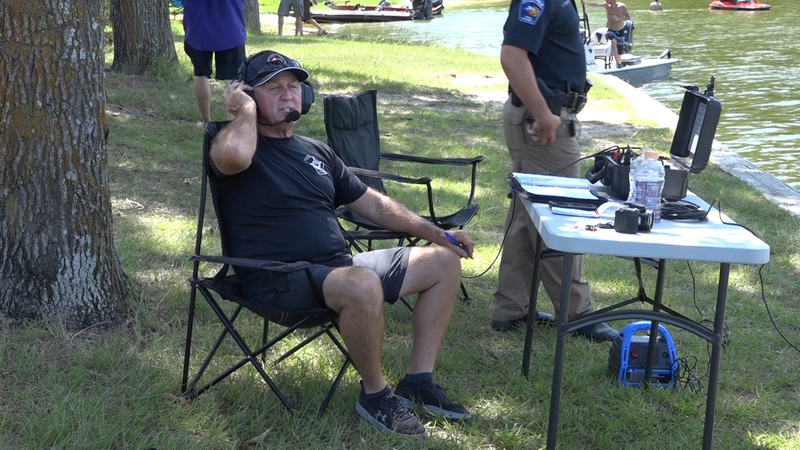 Friday night Game Wardens from Texas Parks and Wildlife were on Lake Conroe using sonar on their boat when they discovered a vehicle next to the Scott’s Ridge Boat Ramp off FM 1097 in the National Forest. 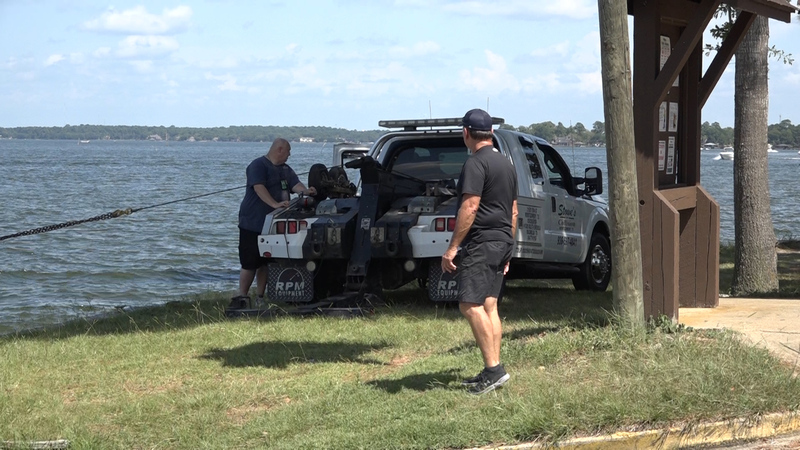 This morning Montgomery County Precinct 1 Lake Patrol returned early Saturday morning and closed the boat ramp. 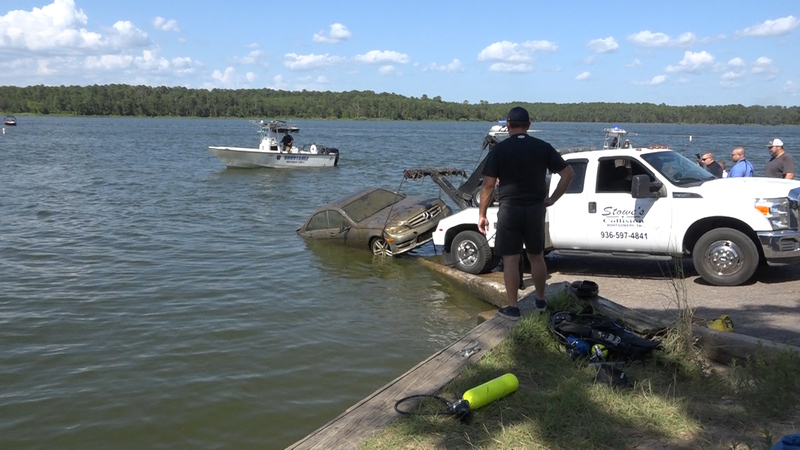 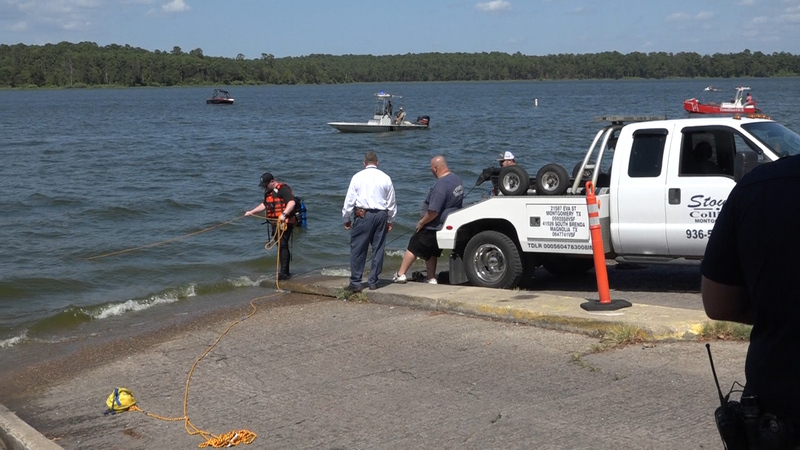 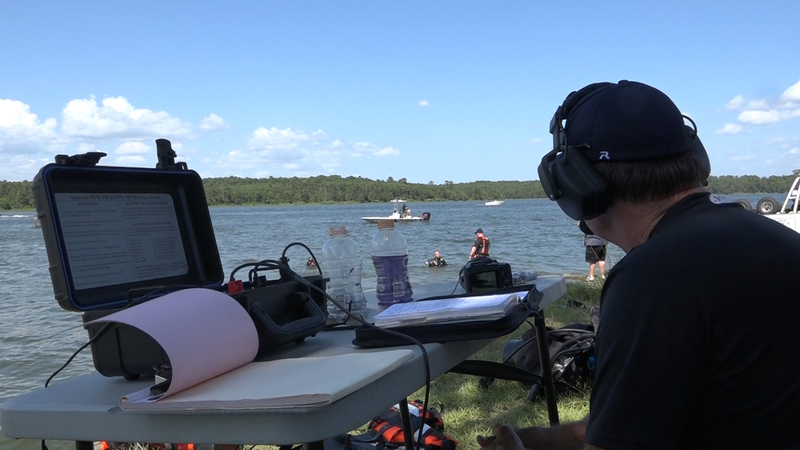 With water conditions in the Lake divers who were sent down could not determine if there was a victim in the vehicle. 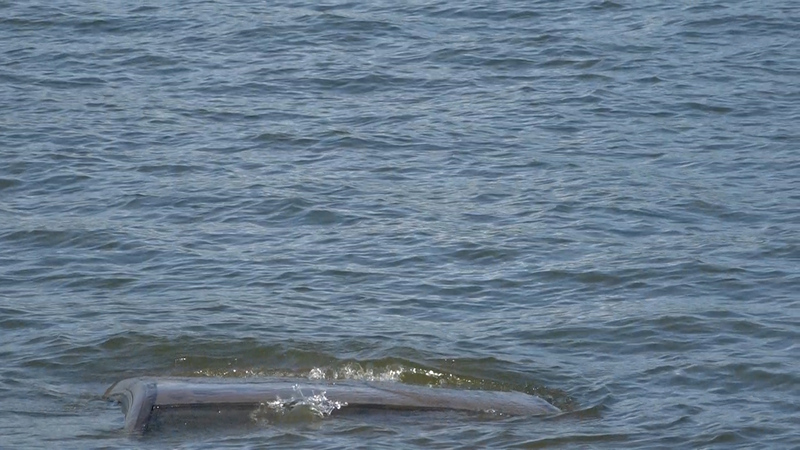 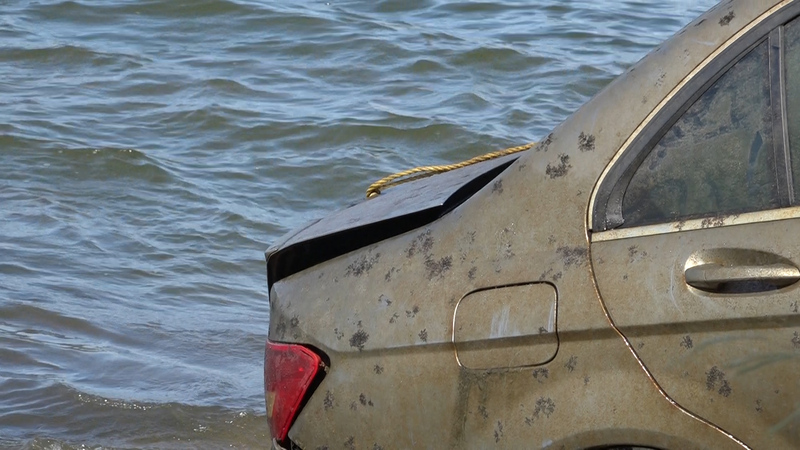 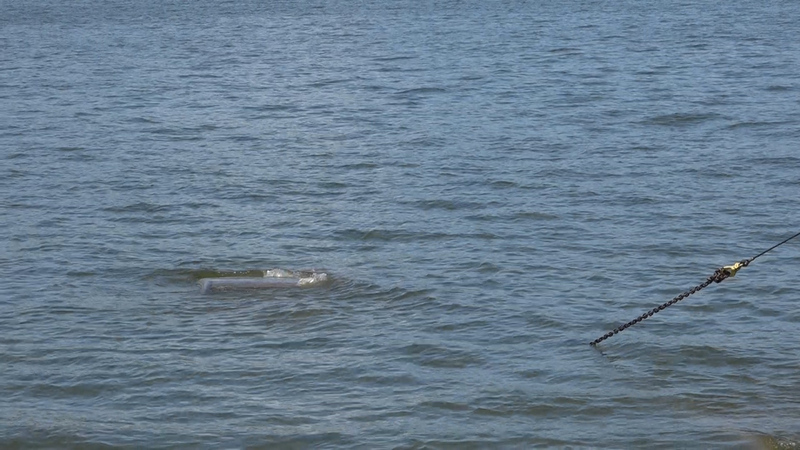 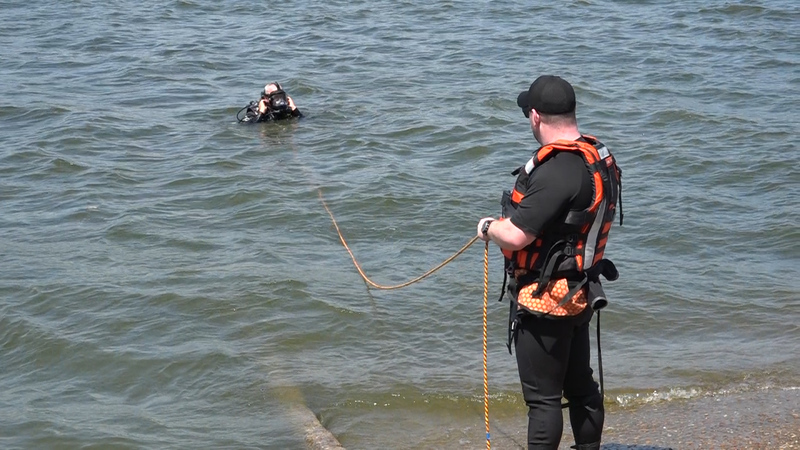 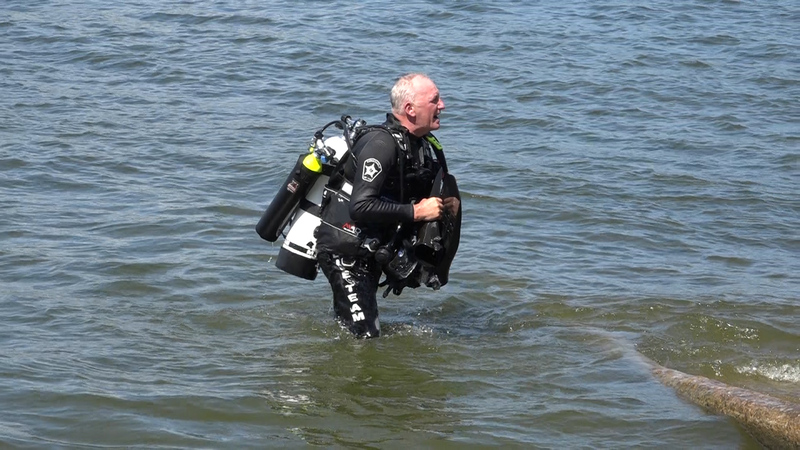 In addition, divers noted the trunk seemed to be weighted down and tied with nylon rope. 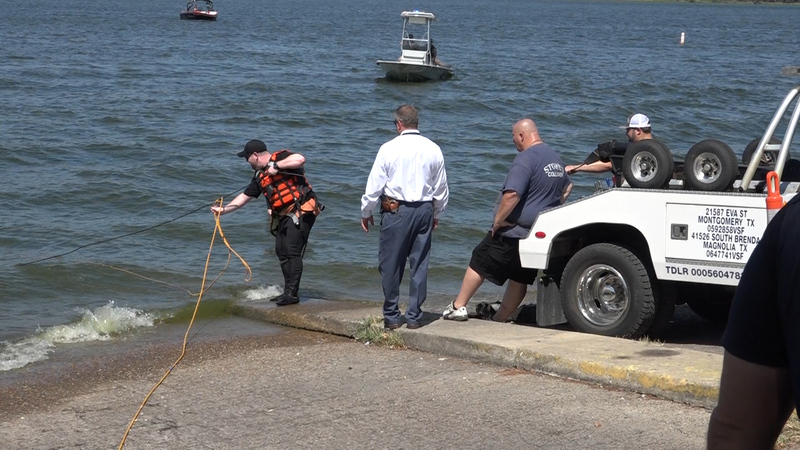 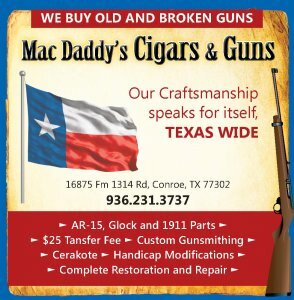 AS a precaution Montgomery County Sheriffs Office Detectives and Crime Scene were alerted and responded. 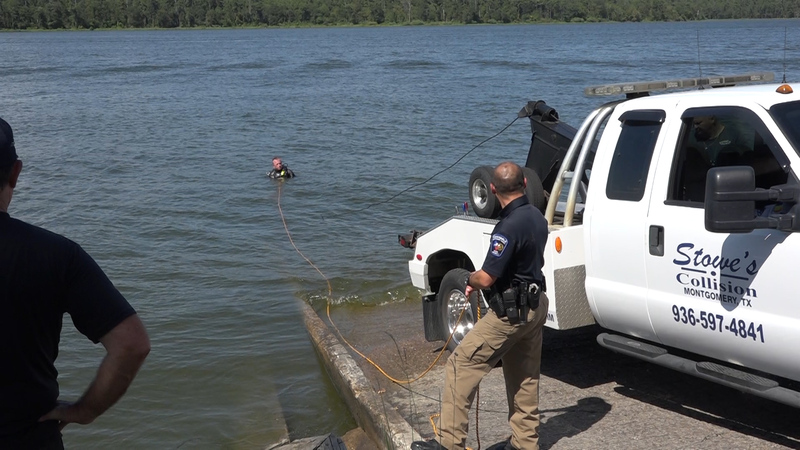 As Constables and Game Wardens kept the area clear the chore of bringing the vehicle to the surface started. 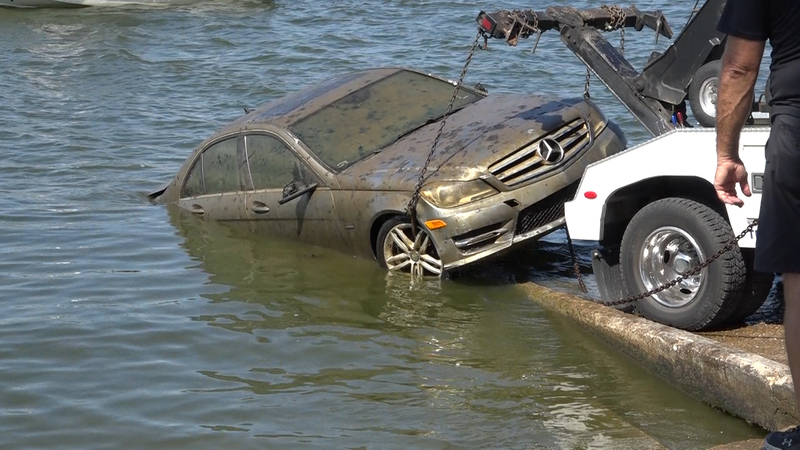 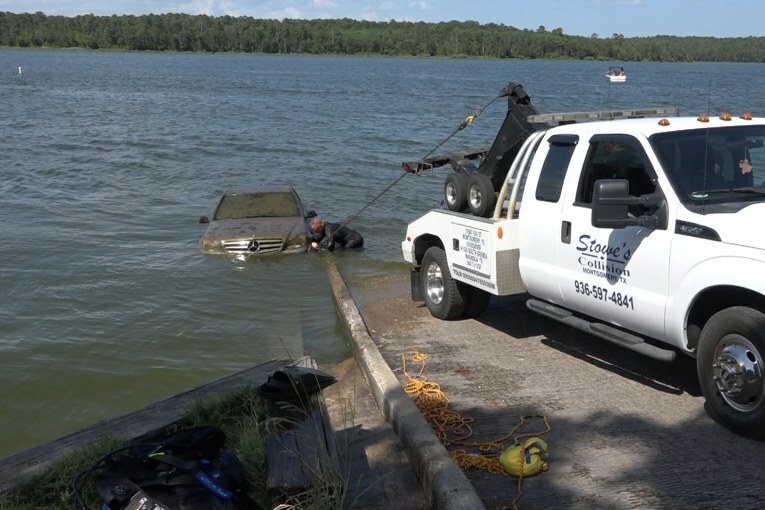 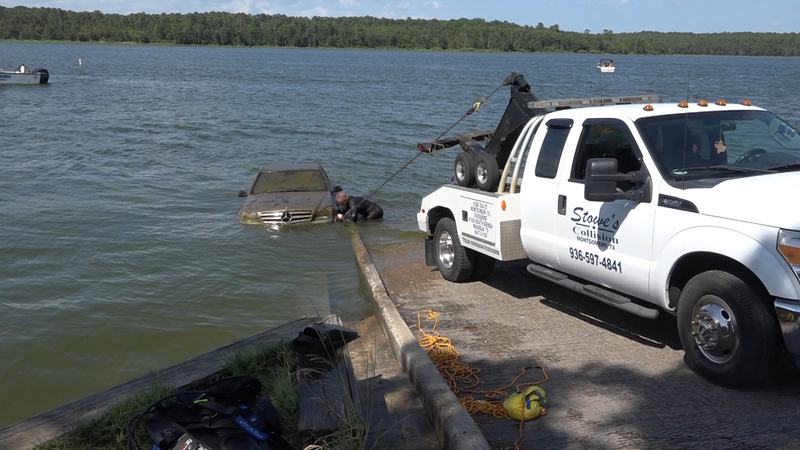 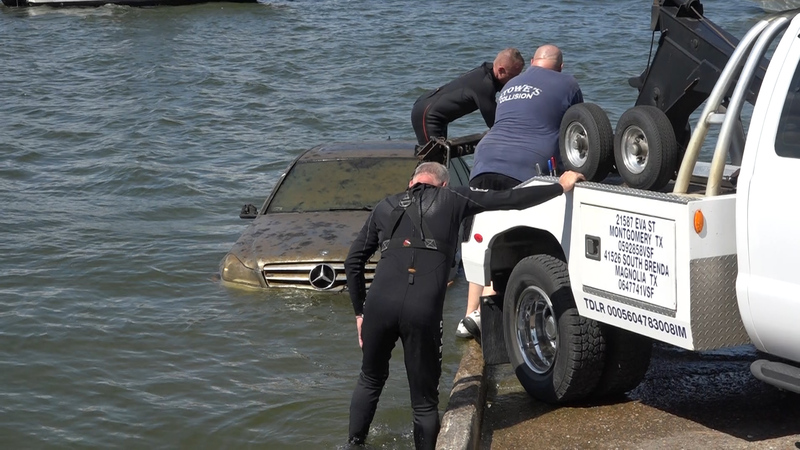 Stowes Wrecker of Montgomery responded and worked all afternoon with divers to recover the vehicle. 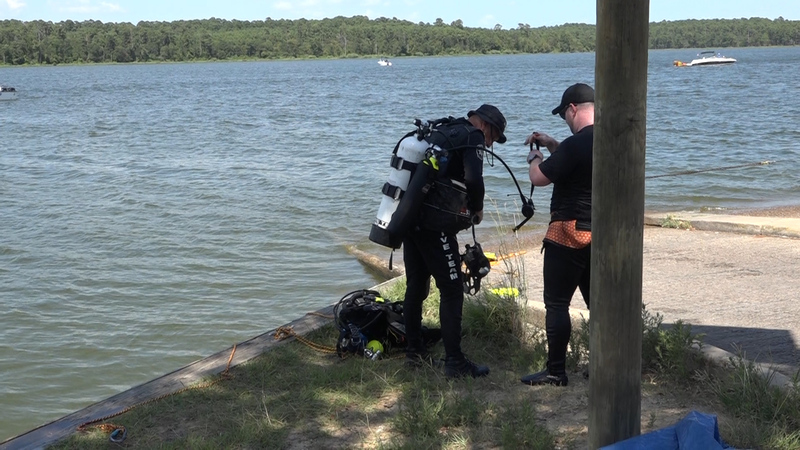 With all the silt divers were unable to connect a cable under the vehicle but were able to hook to a wheel. 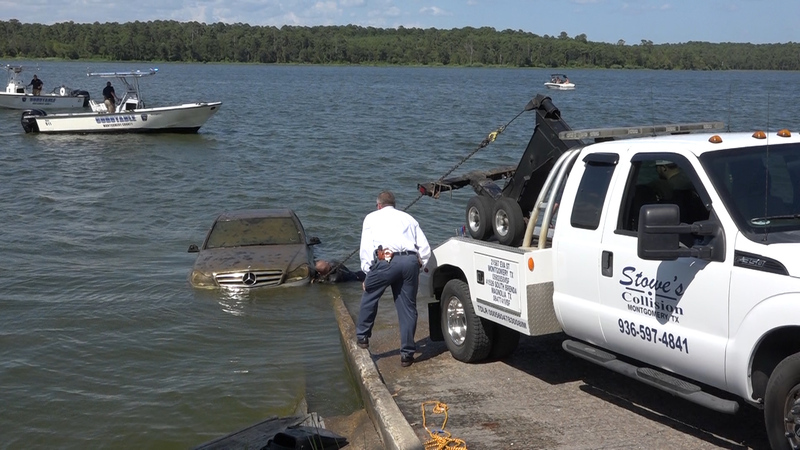 As they brought it up the vehicle was unable to clear the edge of the boat ramp which required repositioning the wrecker several times. 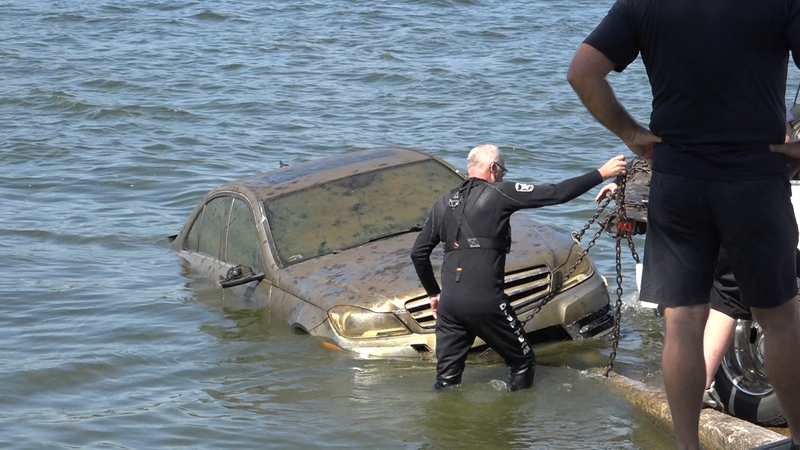 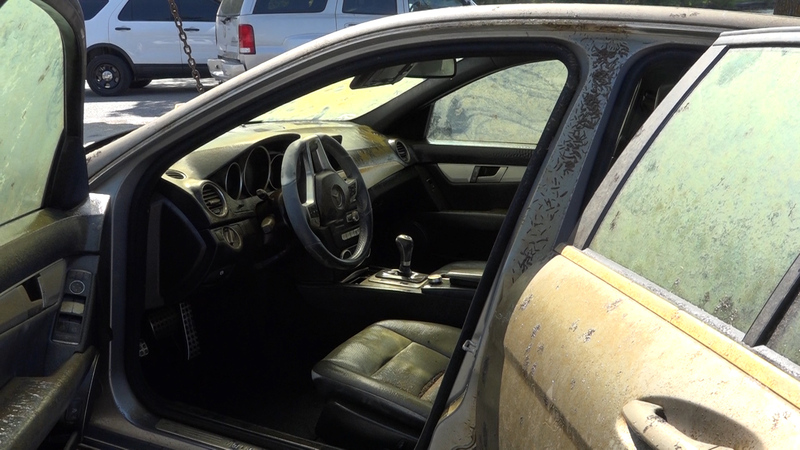 When it finally surfaced detectives moved in to start searching the vehicle. 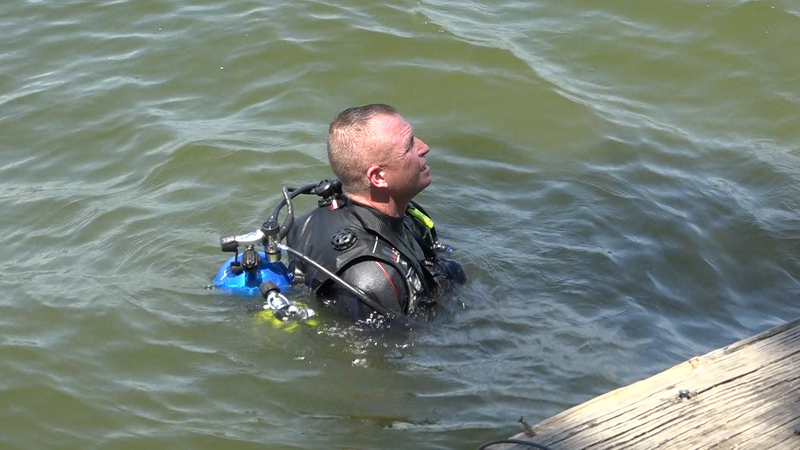 Nothing was found. 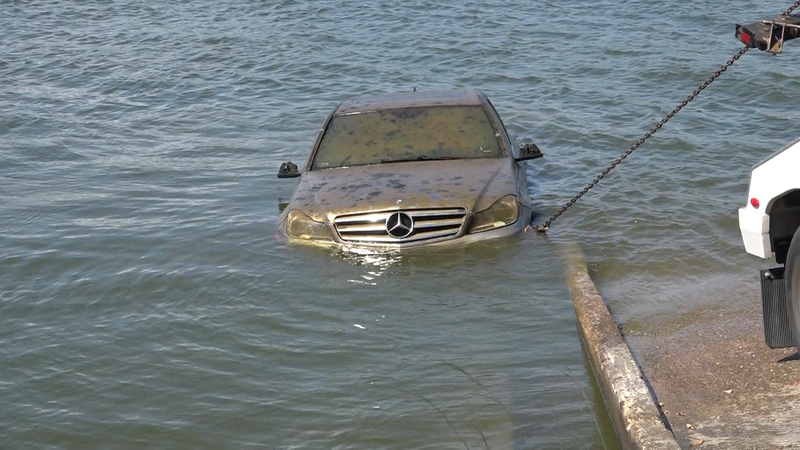 There was no paperwork or plates on the vehicle. 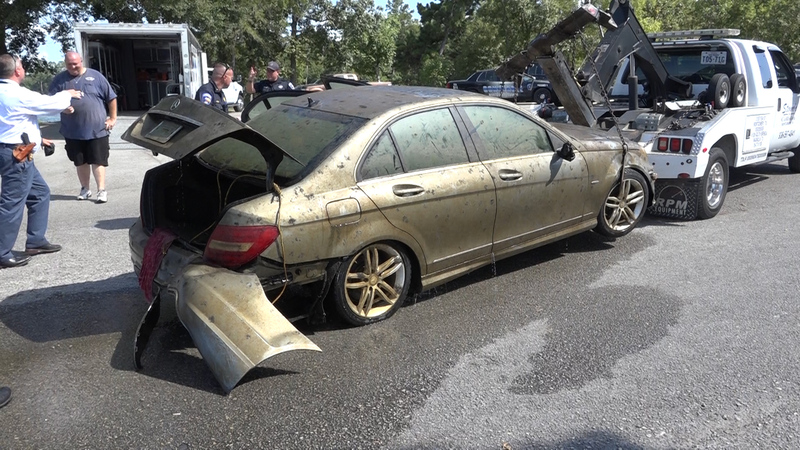 It was determined by the vehicle identification number that the gray Mercedes C250 was stolen in Harris County on June 25, 2018.